CHRONOGRAPH FUNCTIONS. Another Quality Watch from Our Alpha Range. All watches are covered under a 12 month Alpha's factory warranty. 1 YEAR ALPHA MANUFACTURER'S WARRANTY. ALPHA PRODUCTS. DIAL BLACK WITH BLACK SUB DIALS. ICE Out HIPHOP BLING WATCH COLLECTION . PICTURE DOES NOT DO THIS WATCH JUSTICE - LOOKS MUCH BETTER IN REAL LIFE! Band Width. Its combination of good looks, functionality and affordability is hard to beat. The GA-100-1A2ER can also handle itself in the field with the unsurpassed water and shock resistance native to all G-Shock watches. Ladies' Gold Plated Rotary Watch, . Condition is Used. Dispatched with Royal Mail 2nd Class. MY BEAUTIFUL SEIKO BLACK MONSTER 2ND GEN SRP307K1 DRACULA SHARK TEETH MINT. Condition is Used. Boxed, working and in excellent condition. Possibly the only example on e-bay. THERE IS NO RESERVE. NO BUY IT NOW. HI ANOTHER SUPERB WATCH FROM MY COLLECTION AND AGAIN IN STUNNING CONDITION AS YOU CAN SEE. In great clean near mint working condition. 36mm excluding crown. Stunning silver dial and silver hands. On a brown leather strap. Ladies Eternity 30M water resistant watch.New . Ladies Eternity 30M water resistant watch. New. With plastic on strap and front and rear. All working as it should at time of delivery. All packages are sent in padded jiffy bags. Check out my other items and my feedback. Locket opens and is 8 mm x 10 mm when closed. Although in very good condition the watch doers not appear to be working.Total weight is 9.8 grams. Not in working condition?. Sekonda Gold Ladies Watch.New old Stock. Sekonda Gold Ladies Watch.New old Stock.Gold Filled Case.White Face Gold Hands & Hour Markers.Sweep Second Hand.New Battery Just Fitted.With Box & Instructions. For sale 1960s Unique Rotary Bulls Eye Automatic Cal. AS 1913 quickset date wristwatch. Unique 1960s original signed Rotary bullseye dial.Very well preserved. All writings are intact.Large 37mm stainless steel case. Case Colour: gold black brown Strap Colour: dark brown black sheen leather strap. Watch Shape: Oval Case Finish: stainless steel. Face Colour: gold black brown Style: Casual. Water Resistancy: Rotary Waterproof. Dial Colour: PEARL. Highly visible dial: Yes. Gender: LADIES. CLASSIC GOLD. Strap Type: BRECELET CHAIN GOLD. WE HAVE SHOWN AN IMAGE OF THE EXACT WATCH. Case Material: PVD Gold plated. VINTAGE EVERITE HAND WIND WATCH WITH SILVER TONE BRACELET STRAP. 17 JEWELS INCABLOC, MADE IN WEST GERMANY. THE STRAP FASTENER OPERATES AS INTENDED AND HAS TWO NOTCHES TO TIGHTEN OR LOOSEN THE FIT. THE OVERALL LENGTH OF THE WATCH (LAID FLAT) END TO END IS : - 7". Unbranded ladies' pocket/pendant quartz watch, working. A nice wee watch at an attractive price. New battery. But it IS shiny. ROTARY Ladies Gold Coloured Watch. Beautiful Ivory Coloured clear face with gold hands. Ladies Strada Pink strap Watch. Ladies strada pink watch new. Ex display model never been worn. All working as it should at time of delivery. All packages are sent in padded jiffy bags. Check out my other items and my feedback. Sekonda Womens Quartz Watch White Dial Silver Bracelet Necklace Set. Condition is New with defects. I bought this off an eBay seller but then changed my mind so am re-selling. It was sold as new with defects (as it was an ex store display model), but there are no visible issues or marks with the items. Will dispatch with Royal Mail 2nd Class, within 24 hours of payment. Comes from a smoke and pet free home. Ladies Limit gold plated, oval face watch with expanding bracelet in original box. Hardly worn. No scratches, dents or damage. From a pet and smoke free home. Will need a new battery. It is 18k Gold with a leather strap. New listingOmega Seamaster Blue face-Boxed. Sapphire crystal. Dial colour-Blue. -Case Material STAINLESS STEEL. 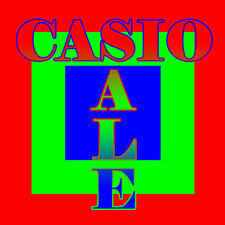 -Case width approx. -FULLY TESTED,NEW BATTERY FITTED. Rojas ladies watch and bracelet set, new. Boxed with Tags. Rojas ladies watch and bracelet set, new. Boxed. Condition is New with tags. All working as it should at time of delivery. Check out my other items and my feedback. Dispatched with Royal Mail 2nd Class. Brand New Swarovski Crystalline Oval Rose Gold Ladies Watch. Never been worn. Comes in the original box with certificate of authenticity, manual and care advice booklet. The watch still has the clear protective film on the watch face which I have left on to take the photos for this listing. Originally purchased for £219 (I still have the receipt which can be provided if required). Items will be dispatched within 2 working days via Hermes which is fully tracked. Any questions, please feel free to message me. CHARLES RENNIE MacKINTOSH DESIGN PRETTY LADIES’ OVAL WRISTWATCH. NICELY MADE WITH FLORAL PATTERN SILVERTONE BRACELET STYLE STRAP. SOLD AS SEEN. RADO DIASTAR DAY DATE AUTOMATIC MEN'S EXCELLENT WRIST WATCH. USED. RADO DIASTAR DAY DATE AUTOMATIC USED CONDITION MEN'S EXCELLENT WRIST WATCH. SAPPHIRE CRYSTAL SCRATCH PROOF.. In Stainless Steel and stunning stones inside and with thick bracelet. This is a Seiko Ladies Watch Model SYS010J. It is Gold Plated and has Hardlex Crystal Glass. 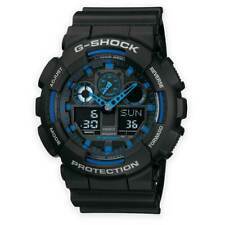 The watch has step second hand, is 17 mm by 17 mm and total length including strap is 18.5 cm. My all-original beautiful and elegant Tudor Oysterdate watch, ref. The watch dates to 1966-67, indicated by its serial number located between the lugs, number 556 . Here are the watch's specifications. Favre leuba sea king. Condition is Used. 29mmdia Swiss made nearly new strap. A SWEET LITTLE " SWISS EMPRESS " LADIES 21 JEWELS G/P WIND-UP WRIST WATCH. 12 mm ROUND SILVERED DIAL INSCRIBED " SWISS EMPRESS " 21 JEWELS : INCABLOC : SWISS MADE WITH A ROLLED GOLD HINGED CLASP [ ONLY FOR UP TO A 6" [150mm] WRIST ]. A nice example of a 50 year old watch in working new condition. possibly collectors type watch. New listingLADIES SEIKO 1990S QUARTZ WATCH, NEW BATTERY, WORKING FINE, BLACK LEATHER STRAP. LADIES SEIKO 1990S QUARTZ WATCH, NEW BATTERY. WORKING FINE, BLACK LEATHER STRAP. & CASE ETC WATCH HAS A NEW BATTERY & WORKING FINE. NICE LOOKING WATCH WITH GOLD DIAL & GOLD HANDS & HOUR MARKERS. Ted baker- ladies watch with pink dial and silver plate. Condition is very good. Oval champagne coloured dial set to bezel with twenty -eight brilliant cut diamonds marked 14 ct gold. New listing Longines Flagship-Perfect condition-BOX-Free Postage! Case width approx. -Case Material STAINLESS STEEL. -Gender -Unisex. -FULLY TESTED,NEW BATTERY FITTED. 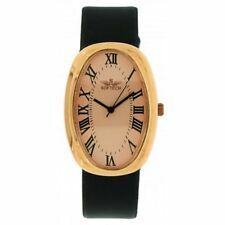 Ladies Rotary 9 carat yellow gold bracelet watch. The distinct shape of oval watches will accommodate your personal style. These watches feature popular styles, and traditional shapes, which will forever be in fashion. Both chic and sophisticated, they have oblong, circular designs, which give them a sleek appearance. Silicone band wristwatches have a casual style, giving them a laid-back appearance that can be worn for every event. The silicone bands are soft for an extra comfortable fit. Stainless steel band watches have a modern style, which gives them a beautiful and sleek feel. Stainless steel bands are resistant to corrosion, so they will look like new for years to come. Bracelet/link band wristwatches have interconnecting links for a beautiful piece of jewellery. The easy to put on straps have an elastic design, allowing you to change its size to more comfortably fit your wrist. Bund strap wristwatches have additional layer of padding under the case of the watch for added protection. These bund strap watches were originally designed for German pilots during World War II. With their modern styles, stainless steel case watches are fantastic for upgrading your wardrobe. Built with scratch-resistant designs, they are less likely to get damaged by any accidental drops. With traditional styles, solid gold case wristwatches are versatile accessories for a night out. Solid gold is a precious material, giving these watches additional value. What are some highest selling oval watches to consider on ebay?